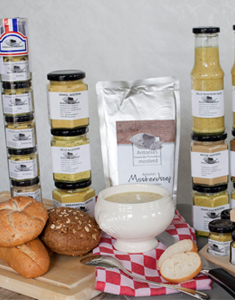 This mustard is named after the nature aroud Haarle. It is a mustard without the whole grains. It has a stong/sharp taste.